Temple Baptist Church Thagetivaripalem was built in year 2002 and was dedicated for God’s glory on 18 Decemeber 2002. 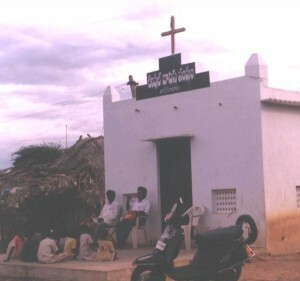 Prior to this there was no church in this village which is 15 K.m. from Kavali. Rev. Thyagaraj went to this village several times and preached the gospel. Four accepted Christ and were baptized. As we were looking for a place to worship, Meeraiah one of the local residents donated land for the construction of prayer hall. The people in this village are so poor to contribute for the construction. 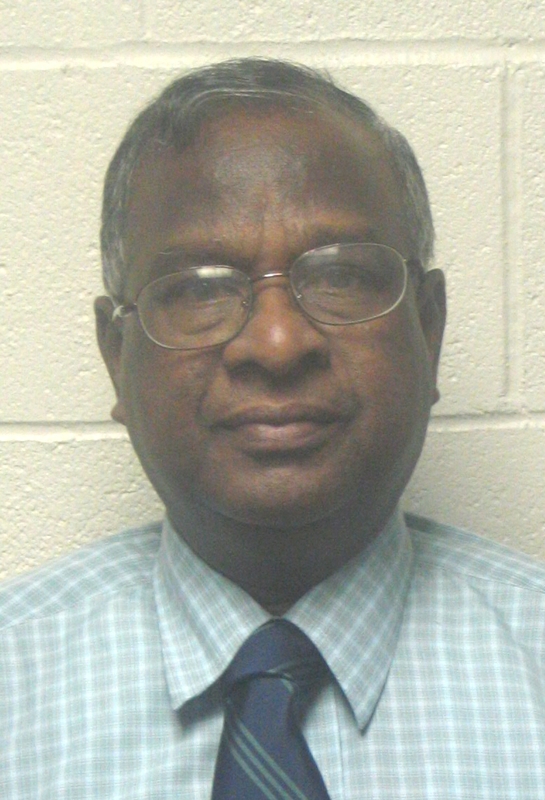 Then I contacted Dr. Joseph Paturi for some financial help. He gladly consented. Construction work began in August 2002 and the Temple Baptist Church was dedicated on December 18, 2002. In 2003 five more accepted Christ and were baptized. Presently 15 adults are attending Sunday worship and 50 children are attending Sunday school. 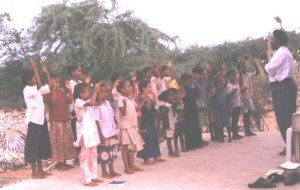 The Ministry is growing in some more villages through Temple Baptist Church. There is a tribal group called Budabukkala in Kavali and other towns. They are the rag pickers who also collect waste paper, broken glass and plastic on the streets and sell them for their livelihood. They live in slums, most raise pigs and live in very unhygienic conditions. Even children go out to pick up rags. However, these tribal people are very receptive to the gospel. One of the immediate need is to conduct a medical camp and to start a day school for children and to erect a shed which can be used for prayer service on Sunday and school on week days. There are five slums in Kavali where work has to be started. I am thankful to International Baptist Congregation for supporting the ministry among tribal groups.